The Sasquatch phenomenon is part of the collective consciousness, as seen in many areas of society, from the reports in mainstream medias, the film industry, the many sport teams using Sasquatch or Yeti as mascots, the music festivals or other events using one of the names of the Forest People, and so on. The interest raised by these mysterious and largely unexplained beings has reached a wide diversity of folks from all walks of life and various backgrounds, with many different beliefs and approaches. These range from the systematic deniers and expert debunkers, who will never see a Sasquatch even when in front of their eyes, to the over imaginative, who naively see them everywhere on every photos. Among the Squatchers, there are monster hunters, chasing terrifying beasts they most often identify as giant apes or unknown species of primates, that they try to trick, trap or kill to own a specimen corpse. Advocates of this brutal approach often include the scientific rational minds with materialistic views. Interestingly, the tenants of this theory most often fear the Sasquatch as a threatening frightening beast. 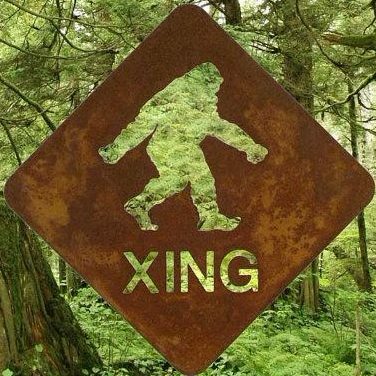 There are others in the scientific community who see Bigfoot as a possible surviving hominid species. They will normally propose a less violent approach more oriented towards anthropological observation. This way is more humane, but tends primarily to consider Sasquatch as more primitive or less evolved. The so-called Bigfoot community also counts those who describe them as evil Nephilim or demonic. They usually base their interpretation on a few Biblical quotes from Genesis or excerpts from Enoch. They generally are seeing all supernatural or paranormal phenomenons as evil, without any distinction. We can’t omit to mention as well, the many hoaxers, or those ones living fantasies of imaginary friends. The motives behind such harmful behaviors are often egotistic, a hunger for fame, influence or wealth. It is obvious that not every account or picture can be taken for granted as solid evidence or any proof. Critical thinking, studies, research, comparison of sources, and the voice of inner intuition must guide. On the other end of the spectrum are the ones who have interacted and communicated with Sasquatch. Starting with Native cultures who have known them for generations, they are by far the best sources. The authentic experiencers who had genuine contacts with Sasquatch have direct knowledge of them. They might not know it all, but have gone beyond the levels of doubts, speculations and extrapolations. These who learn first hand from the Sasquatch about who they are, can bring out the truth about them. Interestingly, many of these experiencers will share similar accounts confirming the same information. Their knowledge matches perfectly Indigenous ancestral teachings describing interdimensional beings. Their contacts differ in duration, depth and intensity and their communications vary in ways and levels. All who walk this path of the Sasquatch communicators will sooner or later discover spiritual beings. They will find out that their encounters and the messages they receive match that of other contactors. Some proceed through ‘habituation’ techniques, creating spaces meant for Sasquatch communication. This approach can lead to extensive contacts with glyphs, gifts, calls, sounds or other manifestations. Depending on how the contactors relate to Sasquatch, their levels of communications and results vary. Sasquatch whisperers eventually discover that the Elders are not limited in space or time, nor in matter. They don’t depend on our offerings or settings to establish contact and can connect any time they want. The habituation habit, usually practiced for animals, takes a different meaning when knowing this fact. Once a spiritual interspecies friendship is developped, contactors will let go of the need to show proofs. They will understand the Sasquatch is our Elder Brother, older and wiser, and should be treated as such. They are teachers from whom we have much to learn and any sign from them is an honor and blessing. Friends of Sasquatch don’t hunt them for photos or gifts, but welcome the offerings they wish to share. Why try to capture spiritual beings on pictures and fix interdimensional teachers in limited space-time? Looking for images and proofs can become obsessional, clouding and eclipsing the spiritual message. An intimate spiritual friendship doesn’t need to be systematically exhibited publicly on a daily basis. Blurry filtered or enhanced pictures are inconclusive, not convincing, and they dilute valid information. They may turn back many seekers wanting to learn the truth, for being unclear, void and insignificant. Some may see many things where others see none, with our different perceptions; what is the purpose? Is the spiritual journey about chasing and busting ghosts, or rather more about the healing of our Soul? Likewise, we know Sasquatch communicates with glyphs, but every two or three sticks are not glyphs. They might be very significant for the way and places they were found, but might leave most clueless. A few clear, significant glyphs or Sasquatch photos, are more conclusive than millions of unclear shots. If our intention is to increase our collective knowledge, we priorize clarity over unanswered riddles. Among the Sasquatch and interdimensional contactors are some who let the Elders guide the process. Respecting them, they do not impose their time line or agenda on the Elders, but follow their guidance. This humble and trusting attitude allows telepathic mind-speak and direct soul-to-soul communication. This is the way some communicators become ambassadors of the Sasquatch People towards Humanity. There is always the systematic deniers, hoaxers and monster hunters that contactors will learn to avoid. Instead friends of Sasquatch are naturally guided to connect with contactors sharing similar knowledge. Learning from our Elders they progress in their interspecies communication process and understanding. With other contactors, they realize that a great cosmic disclosure and evolutionary leap is happening. The spiritual wisdom that our Elder Brother Sasquatch is bringing leads towards a consciousness shift. This awakening to higher dimensions is the necessary step forward into a needed planetary rebirthing. Remembering our origins and the Elders who walked on Earth before us, is knowing our true selves.